In honor of Netflix’s release of A Christmas Prince: The Royal Wedding (read my review of the 1st installment of A Christmas Prince here), this is a list of some of my observations from watching hours of Royal Christmas movies (unwillingly) . Hallmark channel is mostly known for One thing: Interrupting football season with their cheesy Christmas movies. Well, I guess technically, they are known for two things. They also interrupt baseball season with a ‘Christmas in July‘ gimmick but no one notices because no one really pays attention to baseball until the September playoff runs anyway. 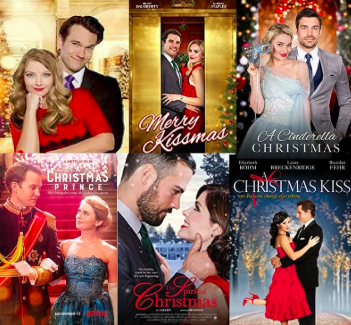 My wife is a huge fan of these incredibly cheesy Christmas movies, especially the ones involving royal families, which unfortunately for me, seems to be the majority of these films. Last year she forced me to watch Netflix’s A Christmas Prince and I am still recovering. I’ve heard the CIA has begun utilizing this movie as a tool in ‘enhanced interrogations‘ to extract information from terrorists. Down on their luck damsels with recently lost jobs can apparently afford very spacious New York apartments. Many of these protagonists are struggling financially with entry level jobs in magazine, newspaper, advertising or other forms of media (which is actually makes for the most believable and realistic parts of the stories). Best Christmas movie ever is now an illustrated Holliday book! No matter how much snow is on the ground, you never see somebody’s breath and apparently a light trench coat, open scarf and leggings are all that is needed to stay warm outside, regardless of temperature. If you watch closely at the beginning of most these movies, you can actually see where the editor breaks from the repeatedly re-used ‘Christmas in New York’ stock footage to the shots of Toronto, Charlotte or whatever lower priced market the movie was actually being filmed in. The personal security attached to European Royalty make the TSA look like top notch Israeli Commandos. The main protagonist has no trouble getting close to the prince and his family (often young minors), usually by impersonating a tutor, skating coach or governess. No background check required to get on this plane! No matter how many snow angels are made, snow balls are thrown or skiing wipe-outs there are, apparently snow in Europe never makes clothing wet. What kind of industrial strength Gore Tex waterproofing is used on these fabrics? I imagine the same chemical Clark W. Griswold coated the bottom of his sled with. There are a ton of tiny, wealthy made up countries in Europe that have young, attractive single princes with English accents. The palace staff often are uneasy about this new young lady spending so much time with the prince, but don’t worry, they will come around to her said within the next 75 minutes or so. Except for the one butler/assistant that had her back from day one. But none of them could hold a serving tray as well as Alfred. There will be a Christmas Tree decorating scene at some point and this scene will include some ancient ornaments that have been passed down through generations of the royal family (but have ‘Made In Taiwan” stickers visible on the bottom of them). You can work on your short game while your wife is watching Christmas movies thanks to Amazon! Danica McKellar has made a lasting career out of these movies. She makes a gorgeous ‘Slave Leia’ as well. I mean WOW! Every palace always has at least one child who “just wants to have a real Christmas this year” but the stuffy elder generation just won’t hear of such nonsense. If the prince/king of a tiny, wealthy European nation is moving in for the first kiss and your cellphone rings in your pocket, you LET IT GO TO VOICEMAIL!!! The movies end with the Prince giving a motivational speech to his subjects that is so lame and poorly written that is makes Bill Pullman’s speech in the movie Independence Day sound like the Walden Pond of our generation. My wife can’t be the only one watching these assembly line mass produced films. Hallmark alone made 34 NEW MOVIES FOR 2018! That doesn’t even count the movies created for other networks such as Lifetime or streaming services. What are your thoughts on cheesy Christmas movies? Did I miss any repetitive themes? Next The Top Six G.I. Joes You Would NOT Want To Roll Into Actual Combat With. I’m sure my husband can relate to you but I am like your wife – I love them! lmao! These movies are soooo addicting though! I watch them alll of December. This post made me smile – and I believe you’ve seen a lot of these movies. Fun fact – I took a class where Danica McKellar was also a student some years ago and she is so sweet!